Love Rice Toppings? You Gotta Try These Food Bowls! If you have a finger on the pulse of all things food then you know that last year, people finally started giving poke bowls the attention it deserved. And do you remember how obsessed we were with açaí bowls a couple of years ago? 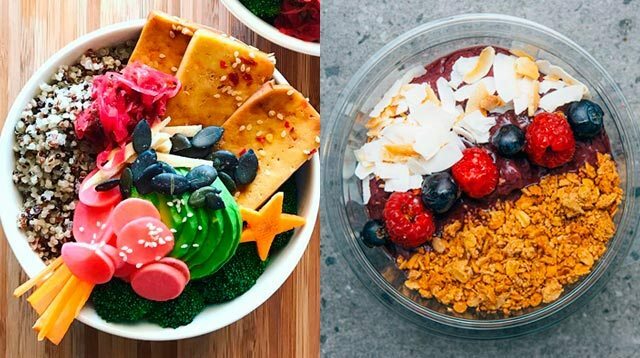 According to international food and restaurant consultants Baum + Whiteman, food bowls will continue to dominate this year: "If you hold a bowl Buddha-like while eating, you are psychologically more prone to mindfulness about your meal. You'll also stand a better chance of catching all the flavors and textures with every bite...and think you're full a lot faster, even if you chuck the white carbs." A healthy alternative to the traditional burrito! Most important meal of the day, right? This dish needs no explanation.